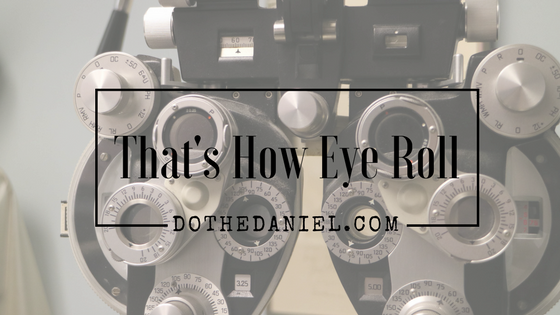 Recently, I had the pleasure of sitting down with an actual ophthalmologist to chat about what the heck it is that they do on a daily basis in relation to eye care. 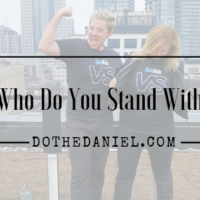 Now, I know we covered some of this on the blog before, but I think it’s really important to gain a better understanding of how important their role is within the medical community. That’s why I decided to hang out with one of the best in the industry for a little Q & A.
Dr. Andrew Budning is an ophthalmologist who divides his time between his private clinic and Trillium Health Partners in Mississauga, specializing in pediatric ophthalmology and pediatric and adult strabismus. The remainder of his time is spent at The Hospital for Sick Children (SickKids) where he focuses on the treatment of retinoblastoma and Coats’ disease. In addition, Dr. Budning teaches at the University of Toronto and plays an active role in patient advocacy. Dr. Budning has authored numerous papers in pediatric ophthalmology with special interest in retinoblastoma and Coats’ disease and strabismus. In addition, Dr. Budning plays an important role in helping to guide technology in the Department of Ophthalmology. Dr. Budning is a past chair of the Section on Ophthalmology OMA, and past member of the board of directors and chair for the Council of Provincial Affairs for the Canadian Ophthalmological Society. He is also the provincial representative for the current COS Council on Advocacy and Liaison with the American Academy for Ophthalmology (AAO). 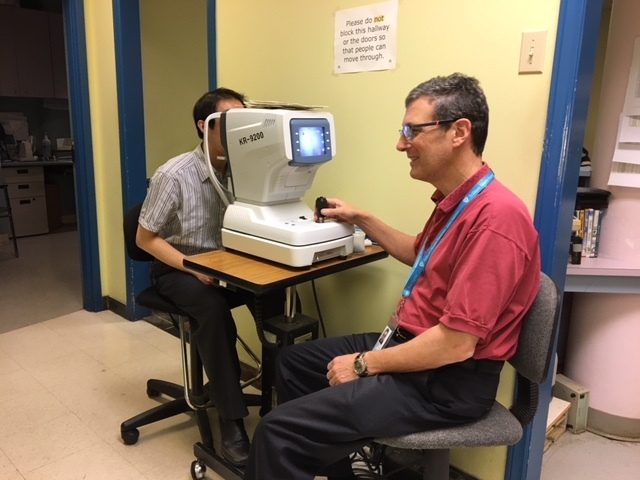 He is an active member of the Eye Health Council of Ontario, among other organizations and a strong advocate for ophthalmology, pediatric ophthalmology and eye care in North America. “Ophthalmology is a medical specialty. As such, one must do an undergraduate degree, then attend medical school, and then do a residency in the specialty desired. As you can guess, admission to each step is very limited (even more so today than in the past). In my case, I was always very interested in medicine/taking care of people. I had an injury to my back at age 13 that led to many treatments and surgery that likely set me on this path. I was fortunate enough to do an undergraduate in physiology at McGill, and got very interested in movement/vestibular research and worked summers in a research lab increasing my interest in health sciences. I remained very interested in research as well as medicine, and started a Masters in physiology at McGill while applying to medical school. Again, I was fortunate enough to get into both programs, and did both simultaneously, graduating with my masters a year before my medicine graduation. (I could have finished to a PhD but was married and had our first child making this a bit to complex and limiting even more my family time). Going back to my childhood, my back-to-back neighbor was an ophthalmologist, and talked to me many times about this interesting specialty. Jumping back to medical school, in my 3rd year, I did an elective month in Ophthalmology and became even more interested in the specialty. I applied to the residency program at McGill and again was ever so fortunate to be accepted. 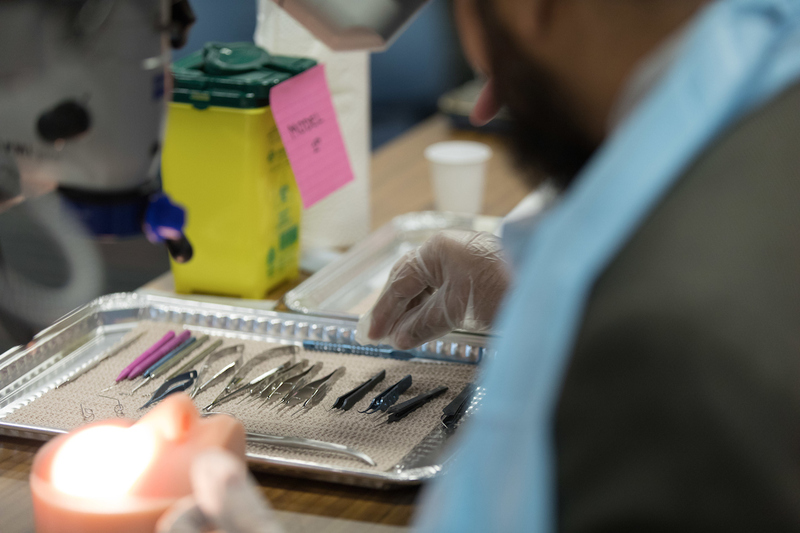 At the time, the ophthalmology program consisted of a 1-year internship and 3-year residency (total of 4 years post medical school training). My training to this point consisted of 4 years undergraduate, 1 year start of Masters, 4 years to finish masters and medical school, 1-year internship, and 3 years ophthalmology, so 13 years training so far…. As I hit my second year of residency, I became very interested in eye movements. This interest was related and overlapped with my undergraduate research in motion/vestibular (where we worked to try to determine why people become motion sick in space). 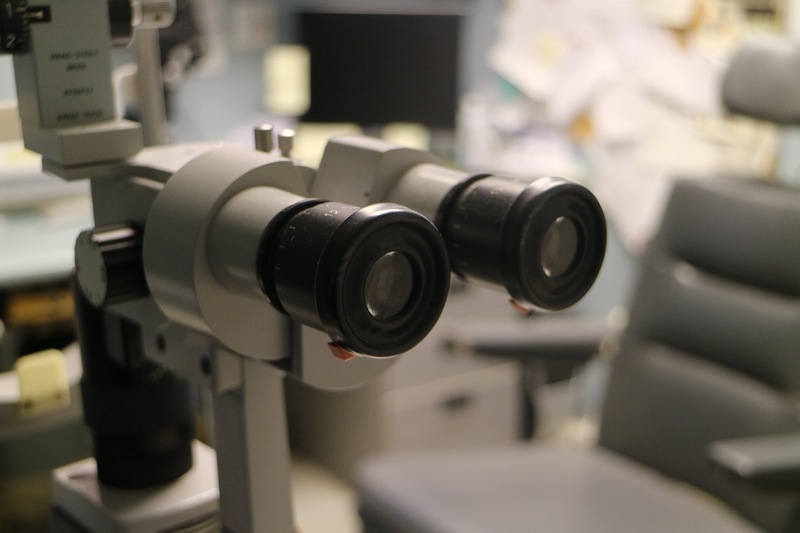 As I approached my third year in residency, I applied to the subspecialty training that best fit my interests, in motion and eye movements, which is in the subspecialty of strabismus and pediatric ophthalmology. I was able to secure a fellowship position at The Hospital for Sick Children in Toronto. I spent my 14th year of post-secondary training there, and decided to stay in the GTA to start my career. “I’m not sure you can call any day typical in my life. It’s always a challenge to keep up with the demand, as there are so few specialists that do what I do. My day starts at 7:30 AM in the office, and runs until 4:30 or so. Each patient arrives with concerns and often complex problems. I do my best to determine the cause for each problem, and develop a treatment strategy and plan to reach the best solution and outcome possible. Days are so busy that I don’t typically have time for breaks, other than about 5 minutes to grab my sandwich, and a few minutes to grab a coffee when I can. When I’m done, there are often meetings and/or paperwork to get done, I then head out and get home for 6 or 7 PM. I usually have 1-2 meetings a week, as I play a role in patient advocacy to try to get the best care possible for all the patients with eye care issues in our province and country. I have the opportunity to operate one day each week at Trillium Health Partners, where I treat infants, children, and adults with strabismus (misaligned eyes), and have a ½ day clinic at the hospital where I examine premature babies eyes for retinopathy of prematurity, and examine the eyes of children with developmental delay, genetic and other childhood disorders affecting the visual system. I work at The Hospital for Sick Children a few days per month as part of the Retinoblastoma team where we treat infants and children with malignant eye cancer. I’d like to spend more time at Sickkids but time does not permit me at present. In the office, the most exciting part of any day is when I can help someone. 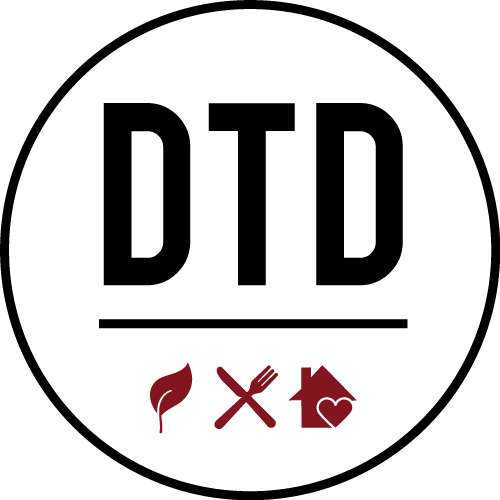 I often see a child or adult that has been seen by another professional and treated unsuccessfully, or have been told that little or nothing can be done to help them. After a careful exam I am often able to sort out the problem and put together a plan to help see and function better, and greatly improve their quality of life. So, what does being an Ophthalmologist mean to you? 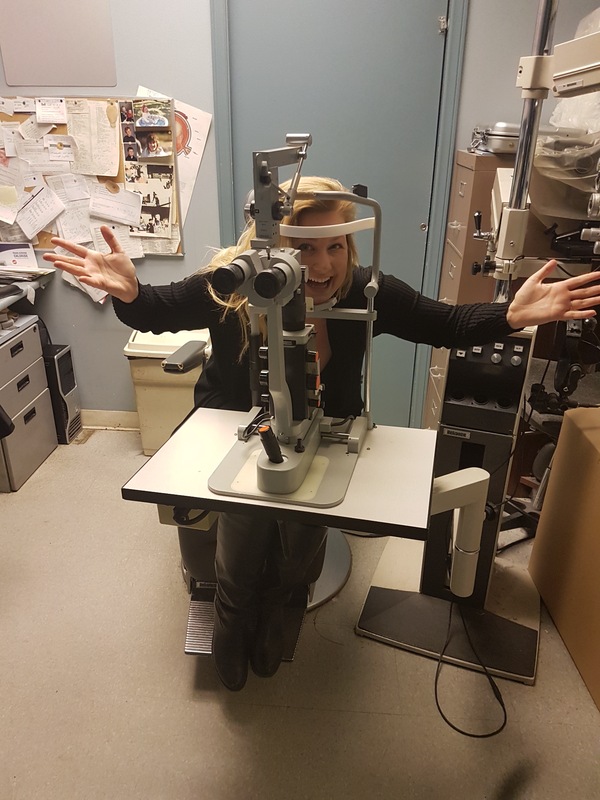 “Being an eye physician and surgeon provides me with the knowledge, expertise and opportunity to help many children and adults with disabling vision issues. Sight is precious, and my goal is to improve and restore vision. As you can tell, the process to learn how to properly diagnose and treat or advance research for future novel treatments is long. Like many things in life, there are no shortcuts, and I feel very fortunate to have had the opportunity to study and to be the apprentice of many teachers with great expertise, so that I could become proficient and help people the way I do. To me, I feel very fortunate to be able to do what I do. There are few things in life better than helping someone. Having the chance to do this on a daily basis is something special! That’s not to say that there isn’t a lot of stress on every move I make, or risk in pushing my knowledge and expertise to the edge every day trying to help my patients be the best they can be, but its something special to be able to help. 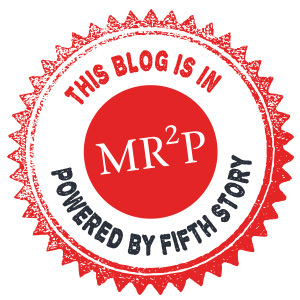 In general, patients are very grateful for any help I can provide, and even in the cases where treatments are very limited or do not yet exist, a clear explanation of the issue, what can or can’t be done and why, helps put them at better understand where they stand. Armed with understanding they are often able to better cope and enjoy life on a daily basis. See The Possibilities is also encouraging Canadians to share their own personal eye health experiences. This is all in order to help drive further awareness to the important role ophthalmologists play in eye health care – as many of us have no clue what they actually do! 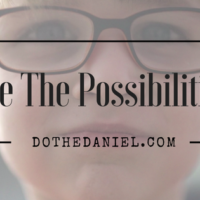 Head on over to SeeThePossibilities.ca for more inspiration and to share YOUR story!